Black Hat Marketing Worth it? There are many ways to utilize the Internet for marketing. 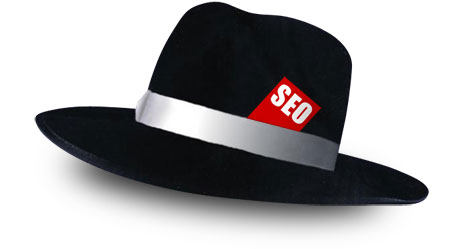 Online marketing could be broken down into two main categories, white hat and black hat. White hat tends to produce results that last a long time and black hat marketers anticipate their sites may eventually be banned either temporarily or permanently once the search engines discover what they are doing. I have tried black hat marketing and have to say it does work. Problem is, you can “get in trouble” by the big boys and have your website downgraded and just banned from search engines. Black hat is always going to be useful to some that are looking to drive quick traffic to a website. Black hat techniques, once they get overused, can change how search engines go about their business. Squidoo.com was downgraded by Google , which was designed to give people a place to share knowledge online… with the understanding that marketers would likely use it to project their expertise and generate new business. Squidoo ended up turning into a black hat marketers play pen and because of this Squidoo had to clean up their site. Black hat marketers, you can say, killed the reputation of Squidoo and will drive some away from the website because they do not want search engines to penalize them by using the website. In the end, this also hurts Squidoo as a business. The bottom line is, black hat marketing is not worth the time and effort if you are a legitimate business and care about your websites place on search engines. There are many ways to utilize white hat techniques for long-term growth and placement on search engines. Online advertising takes time to do it right and you have to be patient. The biggest problem is, am I doing it right? It is tough to put time and effort into something only to find out later it is not working. The only thing I can say about that is to find someone that knows what they are doing to guide you or do the work for you. Quick story… I worked with the owner of a blog that doubled their visitors from 20,000 to 40,000 in 30 days just by using one piece of advice. Online advertising does not always have to take forever, you can have success rather quickly if done correctly.